Is there, or is there not, a wagon? 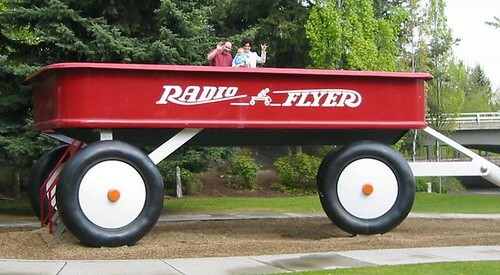 One of FlyLady’s many bits of wisdom is that there is no “wagon,” so you can’t fall off the wagon. You don’t even let yourself think that way. Instead, you tell yourself, “You are not behind. Jump in where you are.” This helps to keep you from feeling like a failure, which is good. No one likes the hopeless feeling that you will never get back on track, for that just leads to the pit of despair, from which escape is difficult. Just as my organization practices are cyclical, so, too, is my ability to stick with a program. When my energy is high, I do well. When my energy is low – especially when I am sick – I tend to go into energy conservation mode. Plans and schemes and programs get set aside, things to do start piling up… and if I am lucky, I remember what the heck I was doing when I come back to the surface and start trying to dig myself out. But I guess that’s just the point. You do what you can, with what you have, where you are (as Teddy Roosevelt would say). So I will get back on that nonexistent wagon… just as soon as I feel up to it. I’m lighter! Am I? Well, I guess one of my goals is to have a relaxing life, and being home sick is certainly relaxing, except for the coughing. All I do is sleep and drink tea.